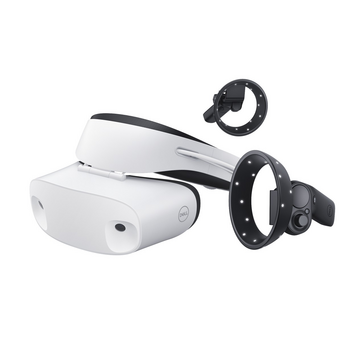 The previously announced Dell Visor headset for Windows augmented reality is now shipping with global availability. Dell's design gives a sleek and modern headset, and a pair of controllers that look like a mix of those for the Vive and Rift. The previously announced Dell Visor for Windows augmented reality is now shipping globally. The Visor, which uses a pair of 1440 x 1440 resolution LCD panels at a 90 Hz refresh rate, stands out from many of the other options due to the more premium looking modern design. Fashioned in satin white, the headset appears more akin to something you would see in a Hollywood movie than some of the competitor’s offerings which seem more like something from a laser tag arena. 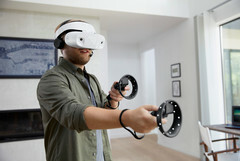 Dell has designed their headset with a diagonally angled headband and drop-level-visor which results in less pressure on the nose and cheeks, by spreading it around the back of the head above the neck, resulting in a more comfortable and balanced weight — the Visor weights 1.3 lbs (590 g). 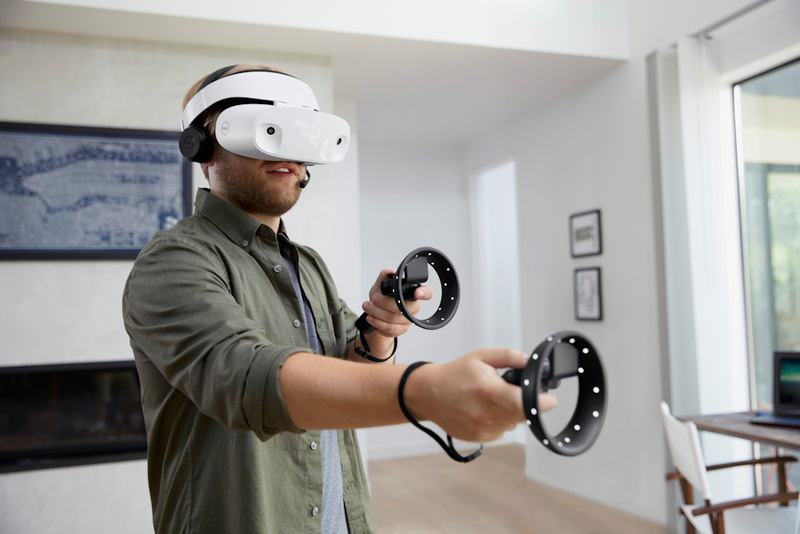 Like other Windows augmented reality headsets, the Dell Visor relies on built-in cameras to handle movement and controller tracking, eliminating the need for external tracking stations like on the HTC Vive and Oculus Rift, but this can have an effect on accuracy. Dell advertises these as having six degrees of freedom (6DoF) as opposed to the Vive and Rift’s advertised 9DoF — although there is debate over the use of the term '9DoF' as technically the three additional DoF are just variations of some of those measured in 6DoF. Users can purchase a pair of pretty substantial VR controllers to pair with the Visor. 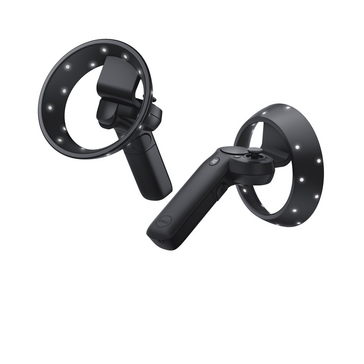 These look as if the Vive and Rift controllers were mashed together, providing trigger and thumb buttons, a touchpad, and thumbsticks for movement. Unlike the future trend being set by the Oculus Go, there are no speakers built into the head unit so headphones will be required. Dell’s Windows augmented reality experience is available now with the Visor retailing for US$350 and the controllers at US$100 for a pair.